The Shawnee Heights Public Schools Foundation recently hosted one of my favorite events, the Winter Mixer. This event is hosted annually to welcome back the Shawnee Heights USD 450 staff after the winter break. We appreciate the hard work the staff does and this is just a small way we can give back to them. 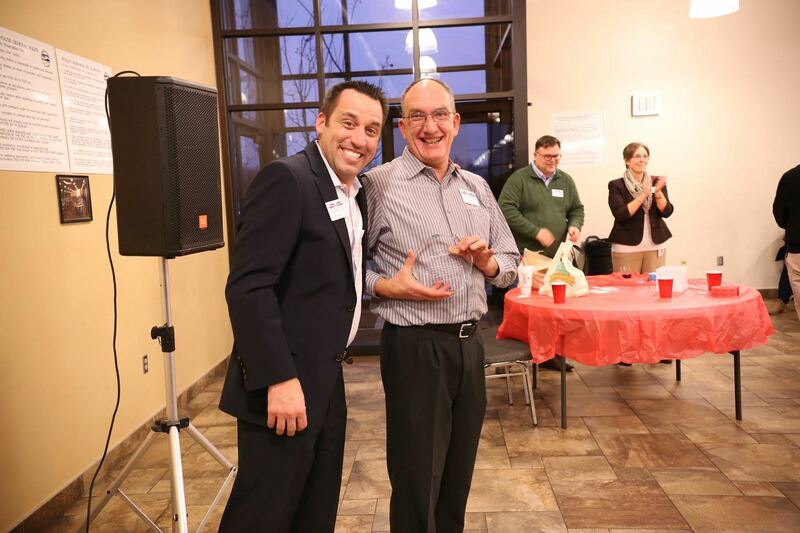 I want to recognize Bruce Krueger for his 7 years of service on the Foundation board. Bruce was the treasurer of the Foundation, was on the financial committee and added valued financial experience to our board. Bruce will be retiring from his position of CFO at Capital City Bank/Capital Federal and will be moving to Texas to be closer to family. Bruce has been a integral part of the Foundation and we will miss him dearly. As you are planning for 2019, the board would like to ask you for your consideration of donating to the Shawnee Heights Public Schools Foundation. See below on how you can donate and the events you can attend to contribute. The funds raised flow right back into our Shawnee Heights USD 450 schools. Thank you for supporting the Shawnee Heights Foundation. The Major Saver Discount Cards were a success! With the support of our students, teachers, staff, parents and community members, the Shawnee Heights School District earned $23,332.50! Major Saver is a community-oriented corporation dedicated to providing a premier fundraising program that benefits schools, students, local businesses, and our community. We know many of our parents work hard to help their student sell the cards. We want to thank those parents and our community members who purchased them. In September we enjoyed our annual Shawnee Heights Public Schools Foundation Breakfast. It is our vision to inform, entertain, and most importantly to raise funds for the students and teachers of Shawnee Heights USD 450 in a pleasant, comfortable environment. Generous contributions helped make our vision a reality by raising more than $13,000! As we continue to grow and work towards our mission to establish a monetary fund for educational projects or grants throughout the Shawnee Heights school district, please know that partnerships with our sponsors are vital to our success. Our sponsors are truly appreciated, thank you! View the 2018-19 Prize Parade video here. Thank you to everyone who was able to attend our Winter Mixer on Friday, January 11, 2019. It was a fun and supporting atmosphere that only the staff could have provided us. The night consisted of a taco bar and delicious deserts that Carlene Jones prepared for the event. She does an amazing job! Staff were on the edge of their seats as we drew winners of various gift card give aways. A few lucky winners received $50 gift cards! We appreciate everything the staff at Shawnee Heights Public Schools does all year long for our students and parents. Teacher grant season is upon us! Deadline for grants are April 5th, 2019. Complete the 2019-2020 Grant Application and return it to the Shawnee Heights Central Office. Chair Back Campaign - The Shawnee Heights high school auditorium chairs are available to sponsor! Name plates are available to purchase and have placed on the back of the auditorium chairs. If you are interested in sponsoring a chair for you or a loved one, please visit our Auditorium Donation page.